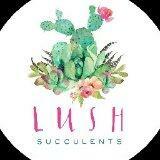 @lushsucculents is on Carousell - Follow to stay updated! If you've been searching for an interesting yet functional indoor planter to add to your decor, then these adorable animal planters may be exactly what you're after! These wonderful pots are able to be used indoors as apart of your home decor, or display them outdoors - undercover in your garden.